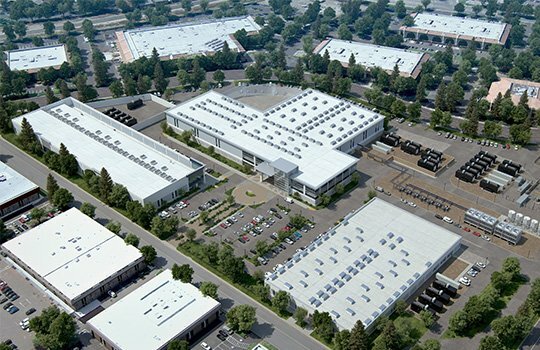 Vantage is planning a massive data center campus in Ashburn, Northern Virginia, the company’s largest expansion to date, comprising five buildings spanning 1,000,000 sq ft (92,900 sq m). The company bought the 42 acre property six months ago, though only recently unveiled its grand plan. Located on the corner of Waxpool Road and Route 28 the land belonged to AOL before it was swept up by Verizon. Early this year, Vantage was acquired by a consortium led by Digital Bridge for $1.2bn. As reported by The Loudoun Times, Vantage president and CEO, Sureel Choksi said the company was “very excited to expand beyond the west coast to a third market,” after Quincy (Washington State) and Silicon Valley, where it is building a second, four-story data center campus. The five-phase, 108MW campus will represent a $1bn investment for the company. The first stage of construction on the 230,000 gross sq ft (21370 sq m), 24MW facility is expected to begin early next year and is hoped to come online in the first quarter of 2019. The company will reportedly follow its usual offering model of flexible, scalable wholesale deployments, catering to all requirements from small to hyperscale. Choksi told DCK that its expansion to the East coast makes strong commercial sense, as there is a 90 percent crossover between tenants leasing in Silicon Valley that also have presence in Ashburn. Ashburn is prime location for data centers, with its offerings of dense interconnectivity and low latency, and land in the area has now reached the $1m per acre mark. Last year, it was estimated that 70 percent of all Internet traffic passes through the wider Northern Virginia area.